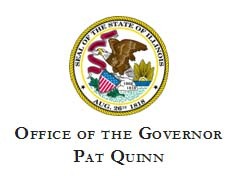 CHICAGO – Governor Pat Quinn today announced that residents affected by the Nov. 17 tornadoes will now have until May 31, 2014 to file any tax returns due on or after Nov. 15. The announcement is part of Governor Quinn’s commitment to help rebuild every community impacted by the deadly storms. "Communities across Illinois should focus on recovery—not deadlines—following the recent severe storms that have devastated so many people," Governor Quinn said. "We want to give families and businesses as much time as they need to get back on their feet." The extended deadline will help individuals and local businesses, such as hardware stores, struggling to meet customer needs while cleaning up after the storms. They will now be able to focus on their customers and will have extra time to file and pay the sales taxes they collect. Individuals and businesses who normally file quarterly returns won’t have the pressure to file those returns or payments while trying to recover from the tornadoes. Distributors driving through damaged areas to get motor fuel to gas stations will have extra time to pay the taxes they owe to Illinois. Taxpayers should file or pay as soon as possible. If filing paper forms by mail, they should write "Tornado – November 2013" in red on the outside of their envelope and on the top of the tax return. To quickly and easily claim disaster relief through MyTax Illinois, log in to your MyTax Illinois account, navigate to the account for which you wish to claim disaster relief, and click "Claim Disaster Relief" under "Account Maintenance" in the left sidebar. Complete the online disaster relief claim request and submit it. and a brief explanation of why they will be late, along with an estimate of when they believe they can file or pay. Additional information can be found by visiting Tax.Illinois.gov. Last month President Obama approved the Governor’s request for federal assistance to help people and businesses in 15 Illinois counties recover from at least 24 tornadoes that were reported on Nov. 17. The request detailed the severe impact the storms had on communities across the state, including damage to at least 2,441 homes, almost 1,000 of which that are uninhabitable. The approval came just one day after Governor Quinn submitted his request for Champaign, Douglas, Fayette, Grundy, Jasper, LaSalle, Massac, Pope, Tazewell, Vermilion, Wabash, Washington, Wayne, Will and Woodford counties. Anyone affected by the Nov. 17 tornadoes and severe storms is encouraged to register for federal assistance. The Federal Emergency Management Agency (FEMA), which administers the assistance program, has a toll-free telephone number 1-800-621-FEMA (3362) or 1-800-462-7585 (TTY) (for hearing and speech impaired) to apply for assistance. Registration also can be done online at disasterassistance.gov or by smartphone or tablet at m.fema.gov. The deadline to register for federal disaster aid is Jan. 27, 2014. SPRINGFIELD, Ill. – A Disaster Recovery Center (DRC) will be opening at 11 a.m. Tuesday, Dec. 10 in Rantoul to serve homeowners, renters and business owners who were affected by the Nov. 17 Illinois tornadoes. DRC services include help with applying for disaster assistance and finding out about other disaster programs available from the U.S. Small Business Administration, state and local agencies and voluntary organizations. Residents must apply with FEMA even if they already provided damage information to local officials, other agencies or organizations. Individuals can register online at DisasterAssistance.gov or via web-enabled phone at m.fema.gov. Applicants may also call 800-621-3362 or (TTY) 800-462-7585. If you use 711-Relay or Video Relay Services (VRS), call 800-621-3362. The toll-free telephone numbers operate from 7 a.m. to 10 p.m. CST seven days a week until further notice. Disaster recovery officials work closely with community leaders to find DRC locations that provide safe and easy access for all survivors. More centers will open as sites are identified and approved. On Monday, Governor Quinn submitted a request for federal aid to President Obama to help tornado survivors recover from the disaster. At least 24 tornadoes were reported on Nov. 17. The request detailed the severe impact the storms had on communities across the state, including damage to at least 2,441 homes, almost 1,000 of which that are uninhabitable. “We will begin working immediately with the federal government to ensure tornado victims can get needed help as quickly as possible,” Jonathon Monken, director of the Illinois Emergency Management Agency said. Grants of up to $32,400 to help with disaster-related needs and necessary expenses not covered by insurance and other aid programs, such as replacement of personal property, and transportation, medical, dental and funeral expenses. Crisis counseling, disaster-related unemployment assistance, legal aid and assistance with income tax, Social Security and veteran’s benefits. Businesses and private not-for-profit organizations may borrow up to $2 million to repair or replace disaster damaged or destroyed real estate, machinery and equipment, inventory and other business assets. Loans are also available to some businesses for economic losses. The Governor is committed to helping communities across Illinois recover following the deadly storms on Nov. 17. For more information about disaster recovery resources, including shelters and ways to help tornado survivors, visit www.ready.illinois.gov. SPRINGFIELD – Frosty temperatures have already destroyed the blooms on many summer plants, a sure sign that winter weather isn’t far away. While it’s not yet time to start shoveling snow, the Illinois Emergency Management Agency (IEMA) and the National Weather Service (NWS) are encouraging people to begin preparing now for extreme cold, snow and ice. IEMA and the NWS will highlight winter weather preparedness throughout November as part of their annual Winter Weather Preparedness campaign. According to the NWS, there were eight deaths related to extreme cold temperatures nationwide in calendar year 2012. That number is significantly lower than the 10-year national average of 27 fatalities. All of the 2012 cold-related fatalities occurred outdoors, including three deaths in Illinois. Since 1995, 134 fatalities related to cold temperatures have occurred in Illinois, making it the second-leading cause of weather-related deaths in Illinois in the past 18 years. To help Illinois residents prepare for winter, IEMA, the NWS and the American Red Cross developed a winter weather preparedness guide that covers winter weather terms and tips for staying safe at home, in the car and at school. The guide is available on the Ready Illinois website at www.Ready.Illinois.gov or by calling 217-785-9925. For more information about winter weather preparedness, including the Weathering Winter guide from the Illinois Department of Public Health, visit the Ready Illinois website at www.Ready.Illinois.gov. SPRINGFIELD – Whether through a computer at home, school or work, or with a mobile device, millions of Americans access the Internet each day. The Internet provides almost limitless opportunities while creating risks that can range from mere inconveniences to serious threats such as identity theft and child safety. Throughout October, which is National Cyber Security Awareness Month, the Illinois Emergency Management Agency (IEMA) will highlight cyber safety to help people understand online risks and what they can do to prevent problems. Monken said the Ready Illinois website (www.Ready.Illinois.gov) includes a cyber safety section that provides information and links to dozens of resources for the safe use of computers and the Internet at home and businesses, as well as guidance for parents and children about online safety. The site also offers information technology (IT) “Best Practices,” including an IT policy template, sample policies and guidance on how to avoid risks associated with the storage of information on photocopiers, fax machines and printers. Online shopping is just one of the many uses of the Internet that is rapidly growing in popularity. U.S. online retail sales are estimated to top $252 billion in 2013. While shopping on the Internet is convenient, it’s important to ensure your computer has the latest security software, web browsers and operating system to provide the best defense against viruses, malware and other online threats. Check out sellers in advance to ensure they are reputable. Search for online reviews of the merchant and note phone numbers and physical addresses of vendors in case you have a problem with your transaction or billing. Make sure the site is legitimate before you enter your personal and financial information. Look for a closed padlock on your web browser’s address bar or a URL address that begins with shttp or https. 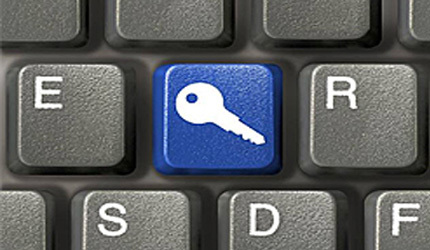 This indicates the purchase is encrypted or secured. Use safe payment options. Credit cards are generally the safest option because they allow buyers to seek a credit from the issuer if the product isn’t delivered or isn’t what was ordered. Print and save records of your online transactions, including the product description, price, online receipt, terms of the sale and copies of any email exchange with the seller. Turn your computer off when you’re finished shopping or when it’s not in use. Leaving your computer on gives scammers 24/7 access to your computer to install malware and commit cyber crimes. For more online safety tips, visit the Ready Illinois website at www.Ready.Illinois.gov. In addition to cyber safety information, the website is a one-stop location for information about disaster preparedness, what to do during a disaster and steps for recovery after a disaster.